Internet safety (or e-safety) is about safe and responsible practice with technology and the sensible management of risks presented by the digital world. "The internet itself will be a powerful resource in widening access to education, information and opportunity. So awareness of e-safety is now a necessity if we are to avoid a digital divide between those who are confident internet users and those who are not." We all recognise the opportunities and benefits in which digital technologies can enhance teaching, learning and research. Digital technology has opened up new ways in which people can explore and engage with the world around them. However, we have to be aware of the potential challenges and risks associated with the technology and support people to identify and manage those risks. "e-safety is about safe and responsible practice with technology and the sensible management of risks presented by the digital world." There is a need to educate ourselves and others about the benefits and risks of using technology and to provide awareness, skills and safeguards to enable users to take responsibility for their own and others’ online experience. The Jisc definition quoted above can be used as a starting point for learning about a vital part of living in a digital society. Empowering people to take responsibility and be able to safeguard themselves and their personal information is something that needs to be developed and maintained throughout their life. This guide explores the strategic and practical challenges associated with living in this ever-connected world. It sets a framework for empowering staff within institutions to meet these challenges and highlights the importance of e-safety provision in identifying, planning and acting on possible risks. It encourages the embedding of safe practices across all aspects of the organisation and in cultivating responsible behaviours. The rate of technology growth and the ubiquity of the internet has impacted upon all aspects of society, including education and the wealth of resources available to students and staff. Statistics from Ofcom show that 93% of all 16-24 year olds used the internet in 2012, with studies showing the diversification of technology as the use of tablet devices has risen to 42%. Smartphone ownership rose to 54% among adults in 2012, with the fastest growth among young people aged 16-24 (86%). Ofcom statistics also show that 52% of people have concerns about what is on the internet, with concerns ranging from inappropriate content to fraud and identity theft. Research from Safer Internet Day, a one-day campaign that highlights the importance of acting online responsibly, showed that while 1 in 10 had heard of the campaign, 56% of children, 37% of teenagers and 42% of adults said they would talk to someone in their family about using the internet safely after finding out about Safer Internet Day. How does all this link together? Well whilst the benefits of using the internet are numerous and have changed the way we work, live and communicate, it is important to raise awareness of the risks and enable people to manage them. e-safety isn’t just about policy, it’s about putting it into action. The implications of unsafe behaviour online is huge to both the individual and the organisation and an inclusive approach involving students and staff at all levels is vital. 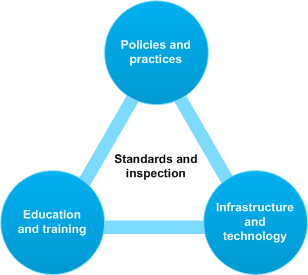 The model describes e-safety as a combination of policies, secure technology infrastructure, education and training, all underpinned by standards and inspection and this guide will touch and expand on these areas. How will e-safety be adopted in your organisation? What will be required to motivate learners and practitioners to adopt e-safety? What will be the barriers to embedding e-safety? Visioning exercises can help by involving a range of key stakeholders in consultation events and workshops. Tools such as scenario planning or using participatory approaches like Rich Pictures can help engage staff in the process. How do the organisation’s mission, vision and values recognise the importance of e-safety? How can we recognise the need to raise awareness of e-safety to learners? Is the understanding of e-safety more than a technical issue? Do we recognise the needs of young people as ‘digital natives’? Are people encouraged to maximise the opportunities that digital technology can offer? Addressing the challenges of supporting and delivering high quality and flexible teaching and learning whilst at the same time enabling both young people and vulnerable adults to keep safe in a rapidly changing digital world, is the focus of the Sheffield College e-safety policy. To ensure that every child and young person and vulnerable adults in Suffolk is aware and builds resilience in e-safety, in order to stay safe. Leadership and the engagement of senior management can help to focus e-safety strategy and start turning vision into implementation. Leadership is not necessarily the preserve of senior management, aspects of leadership extend to every part of the organisation in implementing e-safety effectively. Underpinning all successful strategic activity around e-safety is effective communication and engagement to ensure practitioners, learners and other stakeholders are informed and actively involved in ongoing dialogue around change. Understanding the culture of an organisation is key for any change management initiative. The culture of an organisation can act as an enabler or barrier to changes in the working or learning environment. e-safety involves people from across the whole organisation and acts as a stimulus in bringing people together. Not only is this helpful in terms of keeping your staff and students safe online, it has a positive impact on organisational aims and objectives as a whole. e-safety can also allow practitioners to reflect on their own roles within an institution to ensure that they provide learning materials that are relevant to the digital world that learners inhabit today. Has the e-safety initiative achieved high-level buy-in? What are the benefits to both individuals and the institution? Are students receptive to e-safety? Students will need support in applying e-safety to their digital practices. The Jisc Google Generation report showed that while young people are at the forefront in using new technology, this is principally within their own context and not necessarily within their education. Working in partnership with students can bring benefits to both as they explore new possibilities with technology and the associated risks. Social media is a good example where students can help support staff to understand why they use the technology to connect, communicate and collaborate. We have produced a guide to seeing students as partners in the delivery of their education and The there is further evidence from projects across a number of Jisc programmes of how involving students more centrally in the change agenda can be highly effective. The University of Lincoln has made student as producer central to its teaching and learning strategy in an attempt to improve the relationship between teaching and research, the core activities of the university. By engaging students and academics as collaborators, 'student as producer' refashions and reasserts the very idea of the university. Our detailed guides to both digital literacies and change management look at the importance of culture in more depth. Technology has a lot to offer learners and e-learning, for example, its: flexibility, availability and portability contributes to the personalisation of learning and supports learner engagement and achievement. Managing IT infrastructure is a balancing act for many organisations. The need for fast, reliable and flexible services are required to support innovative practice but there is also an expectation that the infrastructure is secure and safe. You will need to assess your current technology provision and recognise that whilst technology is ubiquitous, it should not be overpowering. The growth in mobile and smartphone technology clearly has repercussions relating to the networks that support them. Our detailed guide to mobile learning gives practical advice on adopting mobile learning across an institution. Google has a number of resources to help explore these threats in more depth. Good governance is essential to the development of an organisation’s technology and infrastructure, ensuring that management is effective and that activities align to the overall strategic priorities. It is the legal responsibility of the educational institution to ensure that there is an appropriate level of security in place to protect any personal data held. What is appropriate will depend on the nature of the personal data and the harm that may result from a security breach. Google has guidance on how to create strong passwords and keep them secure. In 2013 Universities UK released a report highlighting the growing challenge of cyber security and the steps universities need to take in order to protect themselves from cyber threats. This included protecting against targeting attempts to access digital information and research. Jisc has curated a number of resources to help combat cybercrime. Learning providers also need to consider the contentious area of interception and monitoring. Striking a balance between the need on occasions to intercept or monitor communications and the privacy and freedom of expressions rights of the individual is an important consideration. New laws were introduced to take into account advances in technology and to attempt to address the interests of both sides. Jisc have produced guidance with regard to the interception of communications for learning providers. This includes advice for developing internet and email policies and procedures for dealing with third party requests and investigating misuse of systems. BYOD allows students and staff to use their own personal digital devices while learning at school, college and university. Our detailed guide to learning spaces includes a section on BYOD and its use as a creative tool for students. BYOD can have implications for organisations and this needs to be considered both at a strategic and practical level. Infrastructure – do you have the required bandwidth and wireless infrastructure to cope? Does the internal network need to be kept separate from the BYOD network to reduce any potential risks? E-safety is not just about raising awareness but also relates to legal compliance and specific safeguarding obligations. Children (under 16), young people and vulnerable adults should be protected from all forms of abuse, harm and exploitation. Any party with responsibility for the care and control of a child has a duty to do all that is reasonable to secure the child’s health, development and welfare. Students and staff need to be made aware of what activities could constitute an offence and, in some cases, a crime. We support institutions to ensure that legal issues, including those associated with e-safety, do not become a barrier to the adoption and use of ICT. To help you meet your e-safety duties, we have a number of e-safety tools and resources you can use. These include an e-safety policy template that you can adapt for your college, top tips, a checklist, short guidance videos such as e-safety FAQs and e-safety: what you need to know, useful links and relevant news stories. There is a social media suite of resources including a social media for staff policy template (Word docx), checklist and top tips. Specific guidance documents include one for independent specialist colleges and another on the use of Facebook. Various videos and webcasts are also available which look at the use of web 2.0 platforms, podcasting and recording lectures. Inappropriate and illegal activity carried out via college or university systems may affect the e-safety of users, and providers should therefore ensure that consistent procedures are in place to help meet their legal obligations. Certainly, where a college or university is concerned about a crime, this should immediately be reported to the police. Learners and staff are both at risk of giving away too much about themselves online, including images, audio and video. Young people routinely give away personal information, financial and personal data and comment on their emotional state without thinking about it in conversation with 'online friends'. It is important for them to begin to think about the information they release to others online and how it might be used because increasingly employers and universities are researching digital identities using social networking sites. To start a dialogue on who is going to see it? What will they think? What might they do? You could show the YouTube video circulated by Orange called Digital Dirt. It shows how your information on Facebook can influence a potential employer. Universities have begun to develop resources for students to explore the impact of the digital footprint they are leaving behind. University of Plymouth has a site called myBrand and University of Reading has developed a site called This is me. Whilst helping students to understand e-safety is important, staff must also have an awareness of e-safety within their own learning environments, whether the classroom, workplace or library. Embedding e-safety with both academic and support staff is key so that students can build on and enhance their own personal competencies and in how they behave online. The key is to engage staff in e-safety so that they can tailor support as students explore new technologies and the opportunities and challenges associated with them. Professional development programmes also offer staff the opportunities to embed e-safety within teaching practice and reflect on their own approach to e-safety. Like students, staff need to be aware of e-safety policies and procedures when using technology in their teaching practice or research. Institutions need to make clear guidelines for staff as to the appropriate use of digital technology and equipment. Safeguarding responsibilities include e-safety, so staff will need the skills to protect their learners and themselves online. Staff should consider e-safety on a number of levels: their personal use of the internet, their professional use and its impact on their professional identity and their skills and knowledge applied when teaching and working with learners. Staff development programmes around safeguarding should include content on e-safety, linking together an individuals ICT training needs addressed in their appraisal or review. Learning and Skills Improvement Service (LSIS) produced a personal risk-assessment audit to test your knowledge. Working in collaboration with the e-safety coordinator in providing first-line support and guidance around e-safety. Will take a proactive role in educating students about e-safety. To fulfil their safeguarding responsibilities it is likely staff will need some e-safety skills training if only to recognise incidents and report them efficiently. Many organisations have elected to provide level 2 safeguarding training for staff. LSIS produced new safeguarding in a digital world advice on the Excellence Gateway. The Education and Training Foundation have an e-safety module as part of their Safeguarding and Safer Recruitment course that is provided through the Foundation Online Learning website. This site can be accessed using providers’ existing LSIS Learning Environment (LLE) Accounts and login details. Scottish Qualifications Authority (SQA) has developed a qualification: internet safety. The unit is designed to enable candidates to make safe and legal use of the internet. E-safety and the promotion of responsible behaviour involves many different stakeholders at different parts of the process. Working in partnership is a critical part of the process. Your local account manager can help with assessing your current practice and the real risks to your learners and offer continuing professional development (CPD) for staff. What e-safety issues am I trying to solve? What technology infrastructure will I require? What skills will staff and students need? How can I gain acceptance and retain momentum? This section was inspired by the mobile learning infoKit and its ten steps to implementation model. Becta. (2008) Safeguarding children in a digital world: Developing an LSCB e-safety strategy [online]. Available at:http://webarchive.nationalarchives.gov.uk (Accessed: 30 May 2014). Coen, M., Breslin, C., Cullen, D and Kelly, U. 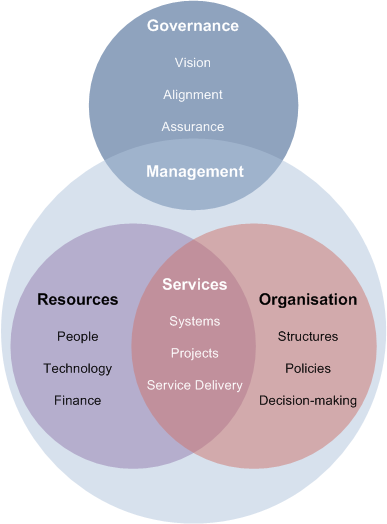 (2008) A Framework for Information Systems Management and Governance: Self-Assessment Toolkit. Report produced for Jisc by the University of Strathclyde. MacKenzie, A. (2012) ‘The new Ofsted e-safety framework: is your school ready’, Guardian Teacher Network, 14 September [Online]. 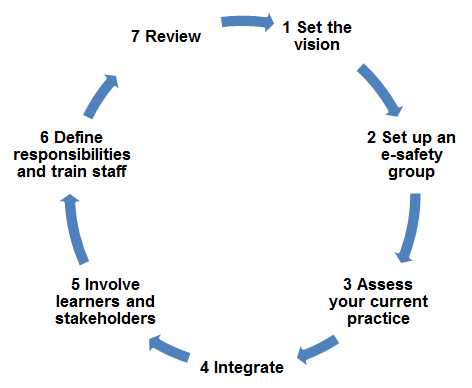 Available at: http://www.theguardian.com/teacher-network/2012/sep/14/oftsed-esafety-guidelines-september-2012 (Accessed: 30 May 2014). National Foundation for Educational Research. (2012) Protecting Children Online: Teachers Perspectives on eSafety Full Report [Online]. Available at: http://www.nfer.ac.uk/nfer/publications/95001/95001.pdf (Accessed: 30 May 2014). Ofcom. (2013) Children and Parents: Media Use and Attitudes Report [Online]. Available at: https://www.ofcom.org.uk/research-and-data/media-literacy-research/resea...(Accessed: 30 May 2014). Rowlands, I., Nicholas, D., Williams, P., Huntington, P., Fieldhouse, M., Gunter, B., Withey, R., Jamali, HR., Dobrowolski, T., Tenopir, C. (2008) The Google generation: the information behaviour of the researcher of the future, Aslib Proceedings, 60 (4), pp. 290-310.